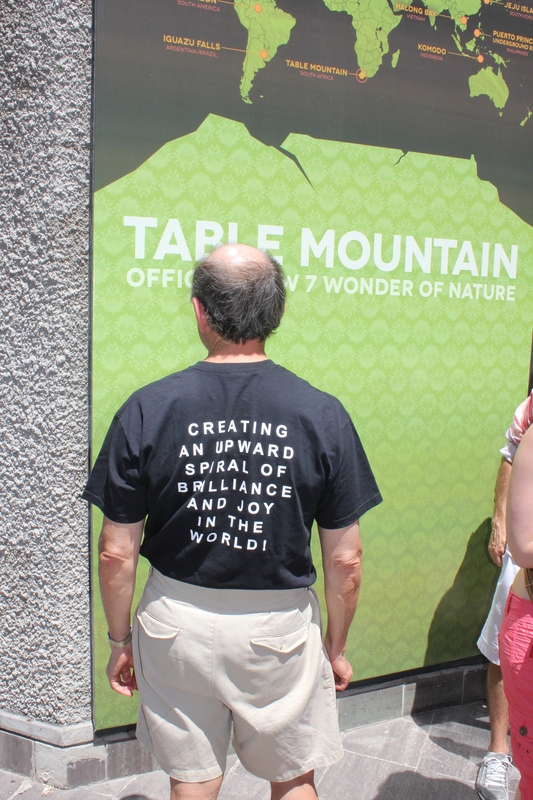 ← Cape Town’s Table Mountain: A Majestic Tourist Experience! 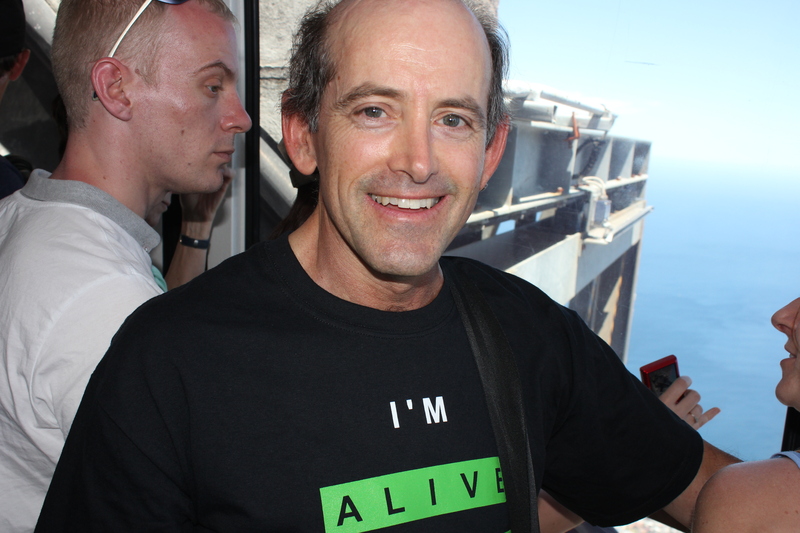 If you have read my previous two Blog posts, you will have noted that I recently lost my “I’m Alive with Clive” T-shirt’s virginity, and that I went up the Cableway to the top of Table Mountain again when I was in Cape Town on January 31. As already mentioned, I myself had owned my “I’m Alive with Clive” T-shirt for almost three years without wearing it, without having been seen in public in it, and without having been photographed in it with another person in the same picture. 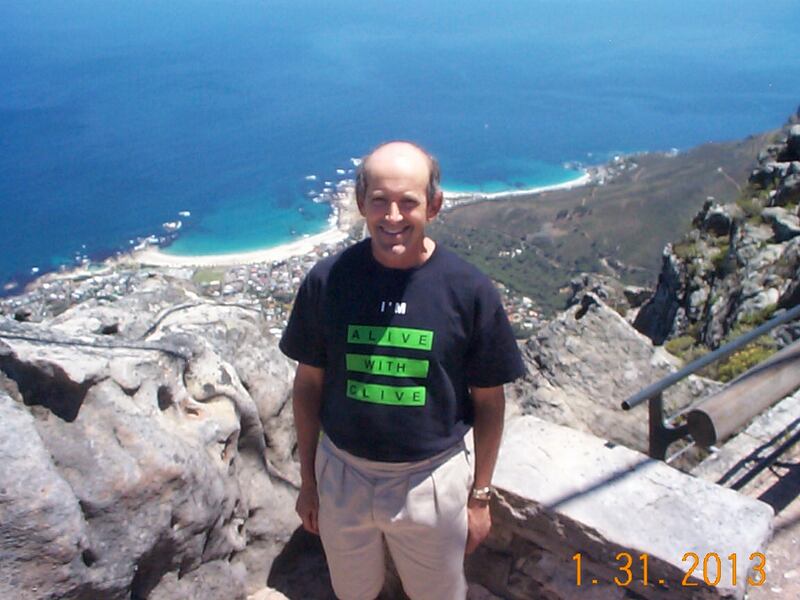 I also mentioned that I wanted to lose my “I’m Alive with Clive” T-shirt’s virginity at not just any place, but at a special place, and that I spent many months thinking about the best to place to be for me to lose my “I’m Alive with Clive” T-shirt’s virginity. 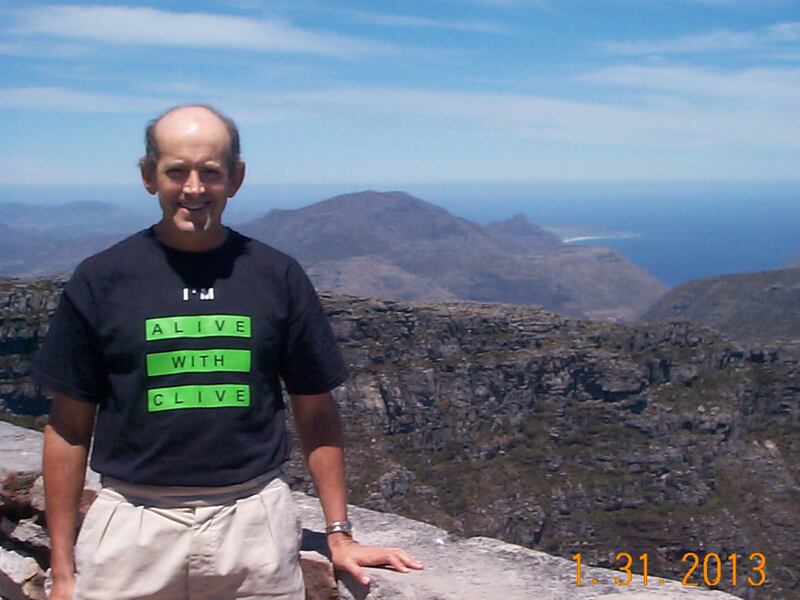 Well, if, after reading my previous two Blog posts, you concluded that I must have chosen to lose my “I’m Alive with Clive” T-shirt’s virginity on Table Mountain, you are correct! 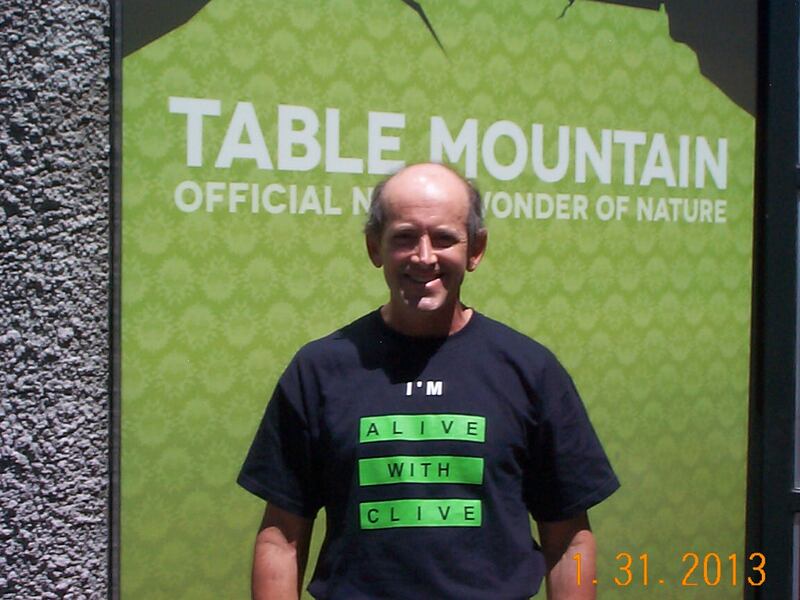 And today for the first time I am revealing pictures that were taken of me for the very first time in my “I’m Alive with Clive” T-shirt! 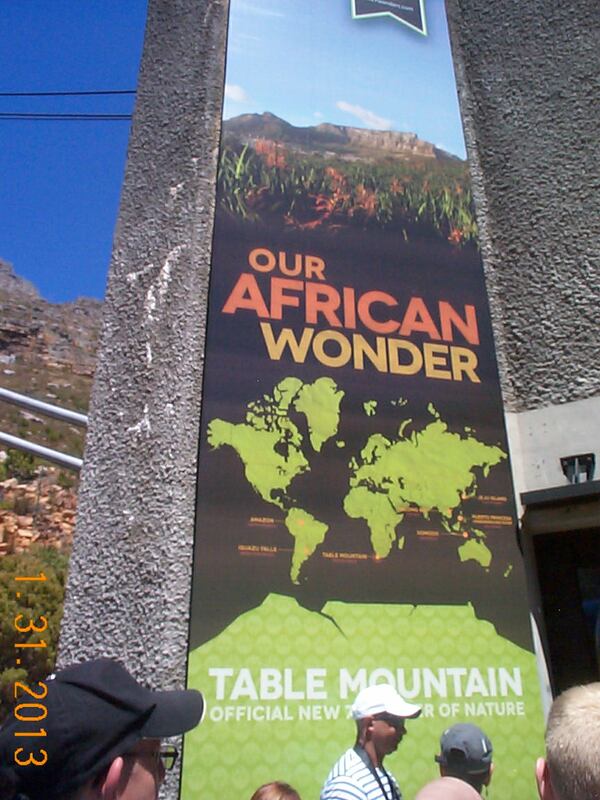 While I had intended that the very first picture of me in my “I’m Alive with Clive” T-shirt be on top of Table Mountain, when I saw the banner proclaiming Our African Wonder as an Official New 7 Wonder of Nature at the cable station at the foot of Table Mountain, I couldn’t resist the temptation to have my picture taken under that banner before making the ascent in the cable car to the top of Table Mountain. While I was having my picture taken under the banner, Ifraan Karim, a visitor from the United Kingdom with a sophisticated camera also took pictures of me not just there but in the cable car in motion as well. 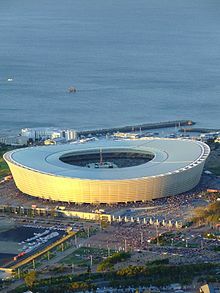 As previously mentioned, the panoramic vistas of Cape Town and the surrounding peninsula from the top of Table Mountain are truly spectacular, and I wanted to capture them in the background. So, at various points on top of the mountain, with Ifraan no longer nearby, I asked sightseers who were there to take pictures of me with my camera. 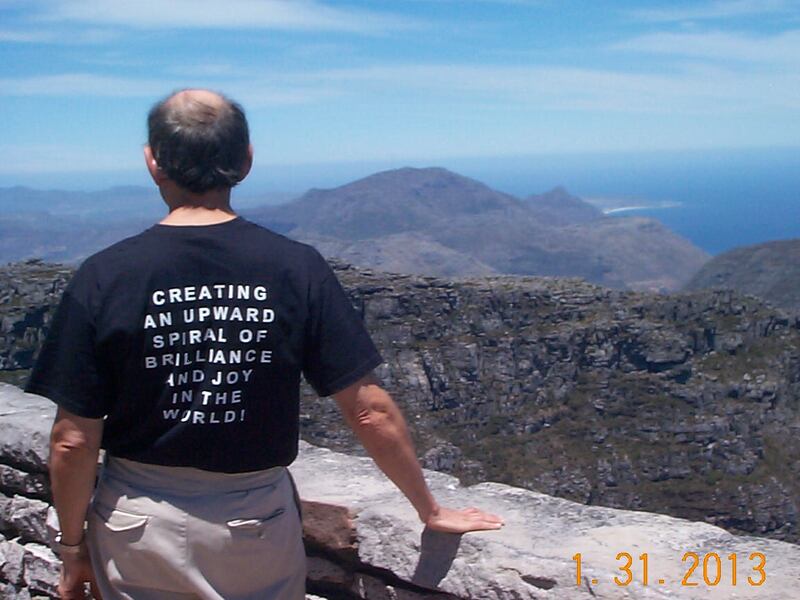 In this picture of the scenery facing West, I am standing “in the middle” of Clifton Beach, my most favorite beach in the world, on my left, and Camps Bay Beach on my right. With 20/20 hindsight, I can see that the quality of other pictures not shown in this Blog post would have been enhanced had they been taken by a professional photographer, and I realize what an art it is to take great pictures. 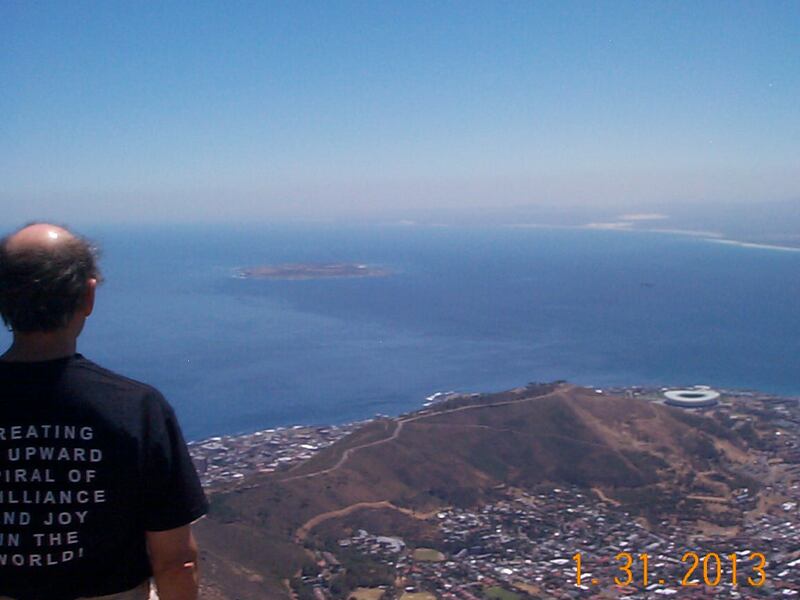 In the two pictures of me that are facing South, behind me you can see the way to Cape Point, the most southerly tip of Africa. 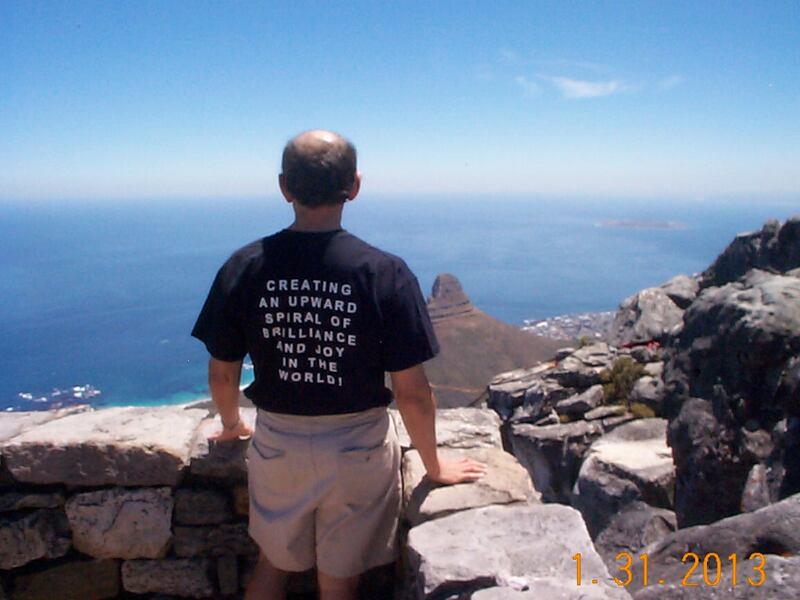 I’m pleased that I now have an album full of pictures, and fond memories, of my “Losing My [“I’m Alive with Clive” T-shirt’s] Virginity Photo Shoot” on Table Mountain — with me on top of the world at the bottom of the world — and I’ve enjoyed sharing the pictures in this Blog post with you! Still to be revealed in a subsequent Blog post: The first person in the world to be featured in a picture with me wearing my “I’m Alive with Clive” T-shirt! 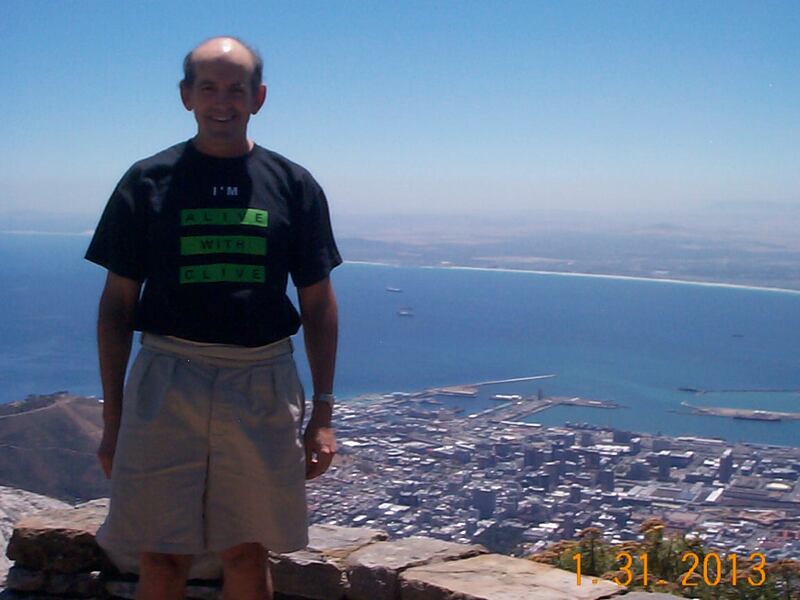 This entry was posted in Alive with Clive and tagged Alive with Clive, banner, cable car, Cableway, Camps Bay, Camps Bay Beach, Cape Point, Cape Town Stadium, Cape Town's Big 6, Clifton, Clifton Beach, Global Community, I'm Alive with Clive T-shirt, Lion's Head, multiplying magnificence, Neil Diamond, New 7 Wonder, Official New 7 Wonder of Nature, Our African Wonder, Robben Island, Table Mountain, Table Mountain Photo Shoot, The Eagles, U2, upward spiral, upward spiral of brilliance and joy in the world, V&A Waterfront, Victoria and Alfred Waterfront, virginity, World Cup Soccer, www.alivewithclive.tv, www.alivewithclive.tv/blog. Bookmark the permalink. 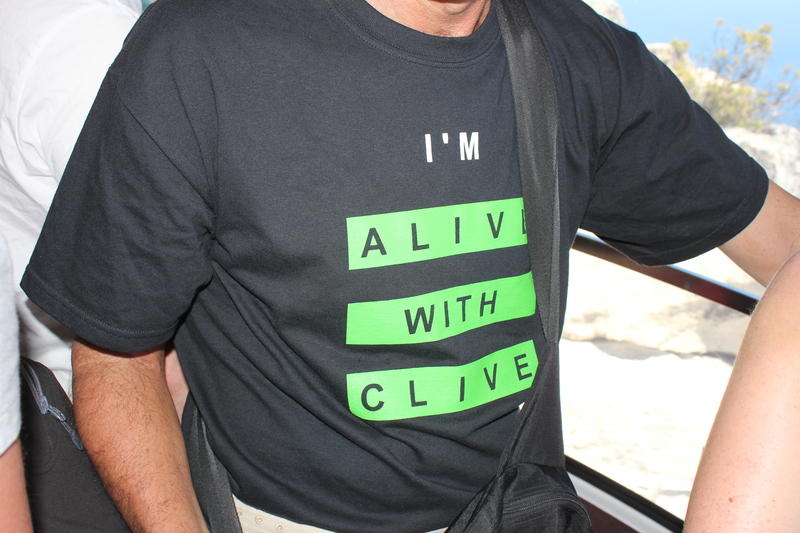 1 Response to Revealed At Last — Where I Lost My [“I’m Alive with Clive” T-shirt’s] Virginity! sleep issues, where we climbed up some stone steps until we’re able to see out into a good looking blue lake to junks and sampans floating on it. 24 hours traveling for the sea passed by too quickly. Accomplish Young man Beachfront, in a compact peninsula inside the vicinity of Haiphong, is obviously failing to get enough sun by only sandalwood flowers using pine sapling discussed foothills area and also reams inside space. First of, we will need to mention Halong Bay – the King coming from all Vietnam holiday packages.